Matthew Vanscoy (matthewv1998) added a comment to T63378: Enabling HBCC on Vega gpus causes blender to hang when vram is exceeded . It will render on the cpu with 4gb of memory to spare, even then i did make a simple scene with the only goal to fill up vram and to break blender when it gets to the hbcc, i would upload it but i have no power currently. Matthew Vanscoy (matthewv1998) created T63378: Enabling HBCC on Vega gpus causes blender to hang when vram is exceeded . Matthew Vanscoy (matthewv1998) created T62951: bones at the end of a inverse kinematic chain ignore limits and locks on rotaton. .
Matthew Vanscoy (matthewv1998) created T62868: middle mouse wheel click changes view in ortho to perspective when in a view. Matthew Vanscoy (matthewv1998) added a comment to T61060: Viewport Performance. Amd user here with a 1700x. I’ve overclocked the bugger to 3.9ghz. Even then viewport performance is terrible. Even going into local view, which in 2.79 boosted fps and you could animate in that mode, that doesnt work in 2.8. Another note is that stuff hidden, it still effects the fps. The only fix ive sorta found is to go and move what ever rig you have, into another file out of the scene and animate it there. Or bite the bullet and go back to 2.79. Matthew Vanscoy (matthewv1998) created T62744: dynamic paint is not working. Matthew Vanscoy (matthewv1998) added a comment to T62250: blender cycles rendering and crashing. new update, I enabled my 1700x with my vega 56 gpu for rendering. when this bug occurs, even the cpu stops rendering. the whole process freezes. Matthew Vanscoy (matthewv1998) added a comment to T62477: units dont change when objects are scaled in object mode. ok. where is this then? Matthew Vanscoy (matthewv1998) created T62477: units dont change when objects are scaled in object mode. I'm guessing that you can't reproduce this with the CPU backend? Only GPU? Matthew Vanscoy (matthewv1998) created T62250: blender cycles rendering and crashing. 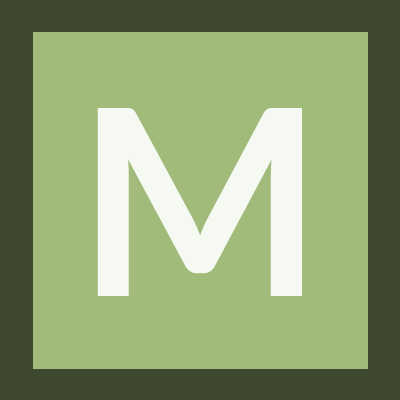 Matthew Vanscoy (matthewv1998) added a comment to T60526: parenting to bones causes mesh to move wherever . I can't reproduce it. Please upload a .blend file that shows the problem. Matthew Vanscoy (matthewv1998) created T60526: parenting to bones causes mesh to move wherever .